Seeking refuge in a post-Armageddon America, Ryan Cawdor and his crew of misfits travel together for survival and sanity. 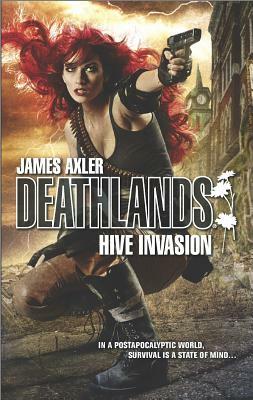 Known as Deathlands, this lawless hellscape is defined by destruction, death and despair. Only those who persevere with the belief in a better future stand a chance in this world where each day brings a new, and potentially lethal, struggle. Desperate to find water and shelter on the barren plains of former Oklahoma, Ryan and his team come upon a community that appears, at first, to be peaceful. Then the ville is attacked by a group of its own inhabitants -- people infected with a parasite that has turned them into slave warriors for an unknown overlord. The companions try to help fend off the enemy and protect the remaining population, but when Ryan is captured during a second ambush, all hope seems lost. Especially when he launches an assault against his own crew.